What Are the Parts of a Tape Measure? Few carpenters, masons, plumbers or other tradespeople could do without a tape measure, the retractable pocket-size measuring device you find on every building site and in every workshop. As a simple tool engineered for convenience, its few parts are carefully calibrated. 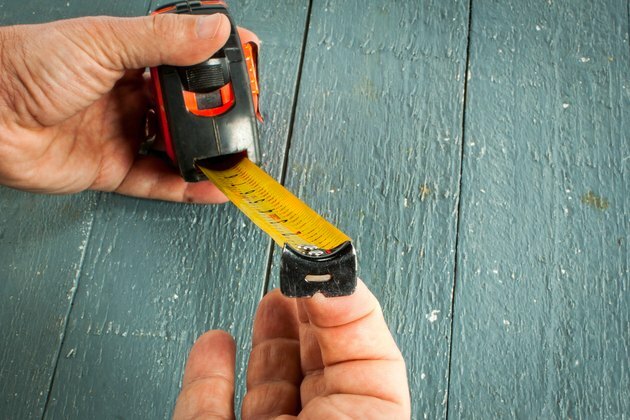 If you want your measurements to be accurate, learn the design details of the tape measure to ensure that you're using -- and reading -- it correctly. The tape is the actual working part of a tape measure -- it's essentially a flexible, coiled-up ruler. 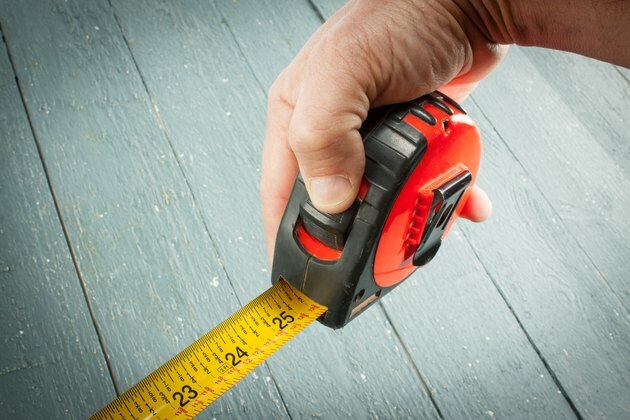 The total length of the tape determines the range of measurements you can make; for example, a 10-foot tape is appropriate for measuring cabinets, while a 25-foot tape is a better tool for framers and outdoor builders. 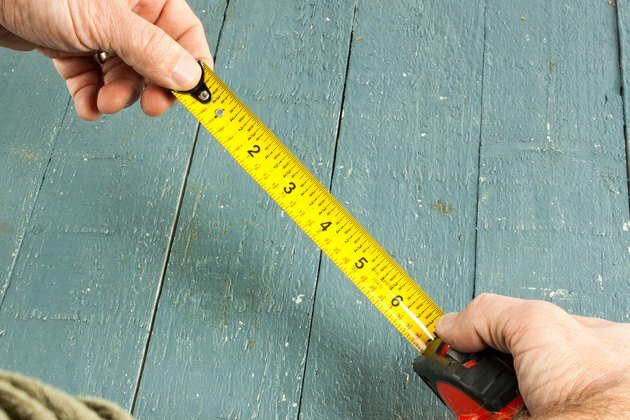 On the tape measure, each number corresponds to an inch with each inch subdivided into 1/16 or 1/32 of an inch, depending on the accuracy of the tool. The numbers on a metric tape denote centimeters, and the spaces between the numbers are graduated into millimeters. Some tapes display both inches and centimeters. A tape measure retracts because the tape connects to a flat metal spring coiled around a central post inside the tape housing. If the tape gets damaged, you can pull it all the way out of the housing, unhook it from the spring and hook on a new tape, as long as you take appropriate precautions to prevent the spring from retracting. Almost all tape measures feature a lock button to keep the tape extended; the operation of this button is very simple. It simply locks against the tape to prevent it from moving when you engage it. The housing, which can be metal or plastic, performs the essential function of containing the tape and spring and preventing them from uncoiling. It has a flat bottom with a length that is carefully measured and displayed so you can include it in your measurements. For example, if you're measuring the inside distance between two walls, you would hold the end of the tape against one wall and the end of the tape housing against the other and add the length of the housing to the tape measurement. The housing often includes a belt clip, which is an essential feature for anyone using a tape measure in the field. 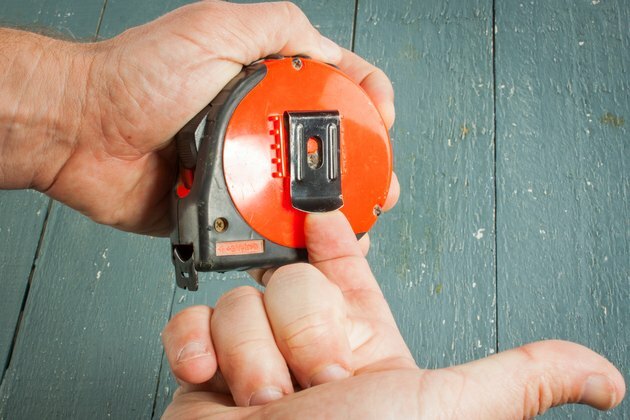 At the end of every tape measure is a metal hooked tab that performs the important function of preventing the tape from disappearing inside the housing, but that isn't all it does. When you need to make an outside measurement, you can hook the tab over an edge so you can stretch the tape. If you're making an inside measurement, the loosely fitting tab slides toward the tape, which is calibrated to allow for its width. It's important to protect the tab when retracting the tape to prevent it from bending; keep your finger on the tape housing when you release the stop and let the tab strike your finger instead of the housing. How Do I Fix a 12-Foot Stanley LeverLock Tape Measure?